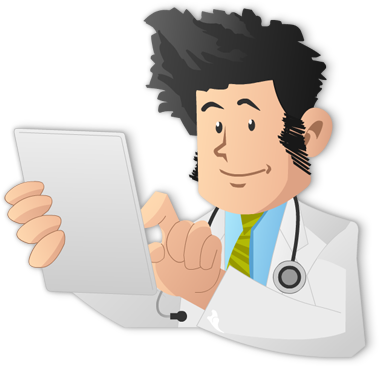 #1: Pre-renal failure can show Hyaline Casts. Hyaline casts don’t necessary represent pathology. #3. Allergic Interstitial Nephritis (AIN) usually shows urine eosinophils on Hansel-Wright stain . However, there are two main exceptions to keep in mind. NSAIDs can lead to AIN WITHOUT the presence of eosinophils on Hansel-Wright stain. About 33% of the time, proton pump inhibitors can cause AIN WITHOUT eosinophils on Hansel-Wright stain. 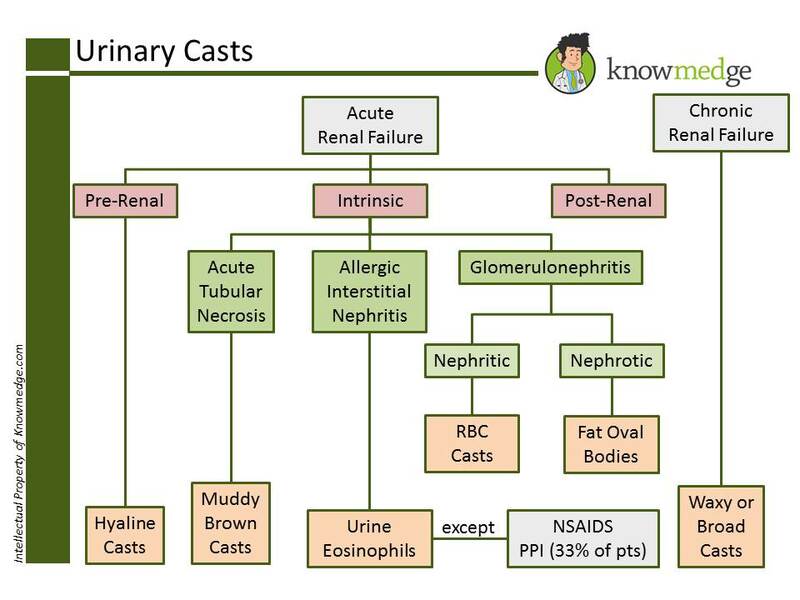 A picture is worth a thousand words so let’s put these facts together into a colorful, helpful diagram that you can use to review urine casts. #8. NSAIDs will NOT DIRECTLY cause a patient to develop Acute Tubular Necrosis. However, after prolonged pre-renal acute kidney injury from NSAIDs or with the concurrent use of diuretics and ACEi/ARB, ATN can occur. Remembering when to stop ACE inhibitors in the context of a rise in creatinine is also beneficial. #10. A 30% or higher jump creatinine necessitates discontinuing the ACE inhibitor. Thus, if a patient’s baseline creatinine is 1.2mg/dL pre-ACE inhibitor and 1.5mg/dL (25% increase) after initiation of lisinopril, continue the medication for now. If however, the creatinine rises to 1.7mg/dL (42% increase), stop the lisinopril. 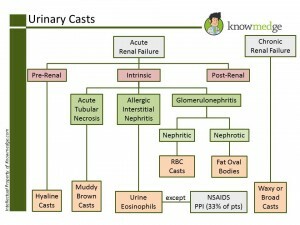 Hopefully with these 10 pearls and the unique Knowmedge diagram, you’ll be able to quickly associate urine casts with the appropriate kidney disease as seen on the ABIM examination learning objectives.